Posted on February 15, 2012, in Uncategorized. Bookmark the permalink. 5 Comments. This is absolutely wonderful and so thought provoking! So much of our feelings and sentiments are kept hidden until a time when the person who most needs to hear and experience them, is not around to do so. What insight. This should certainly cause us to think and to think deeply. Thank you my dear sister. Your words are so true, lets honor the living while they live. Wow! This is an excellent lesson to learn from the unfortunate tragedies from the famous people to the people in our community. I too personally to say that my father lost my job less than six months ago and I realized that he would do and say the craziest things. I would be too busy or distant to make time for him. Just reading this article made me realize that why he was doing simply cause he needed the love and attention during his hard times. Thanks for sharing. There is an episode of “Good Times” in which Fishbone fakes his death, much like the “Little House on the Prairie” episode. It is difficult sometimes for people to compliment one another or to see the good in someone else when the person can’t see the good in him or herself, and that leaves so many of us hurting–even after death. Imagine if we were to just show love to others, how better they will be. Not only them, we would better for it as well. All people want is to be celebrated. 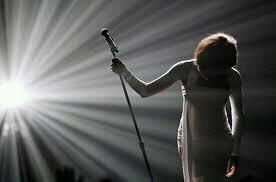 Whitney Houston, Michael Jackson and so many others are no different.